When you find yourself in need of South Jersey lawyers for orders of protection, try contacting the offices of Puff & Cockerill. We are a law firm centrally based in Woodbury, NJ, and we provide client-based legal services in most every facet of family law. Our practice represents clients in matters of restraining orders, domestic violence, divorce, child custody and much more. We believe in representing our clients zealously and with compassion in difficult and frightening times in their lives. For people involved in situations of domestic violence or spousal abuse, orders of protection are often necessary to protect them from further abuse. 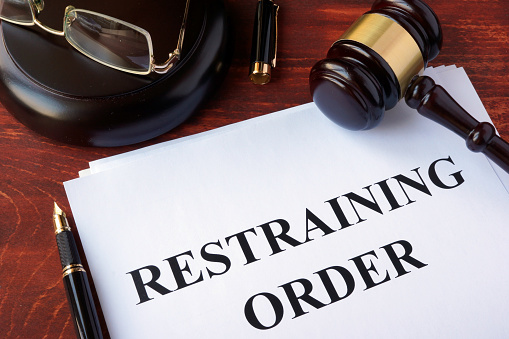 A restraining order may not stop an abuser, but it can cause them to be arrested and face criminal charges if that order is violated. If you are going through the enormous stress and fear caused by an abusive spouse or ex-spouse, it’s important to find legal protection from experienced attorneys with a high level of integrity. The attorneys at Puff & Cockerill have a wide range of experience litigating family law matters. We’ve successfully tried cases involving divorce, dissolution of civil unions, and protective and restraining orders. We work towards the best solution for you and your family and reduce your stress, at a cost that is reasonable and proportionate. When possible, we work towards a more cost effective solution to court litigation. Our experience in all matters of family law and our compassion for clients needing restraining orders make us a preferred choice for South Jersey lawyers for orders of protection. If you are involved in a protection dispute or have been wrongly accused in a protection situation, call the office of Puff & Cockerill today for an initial consultation. We look forward to helping you resolve your stress and move onto the next chapter of your life.